Ashmore Reef, Ashmore and Cartier Islands [Administered by Australia]. 24 Feb 2014. John Huisman. © John Huisman. Published in: Weber-van Bosse, A. (1928). 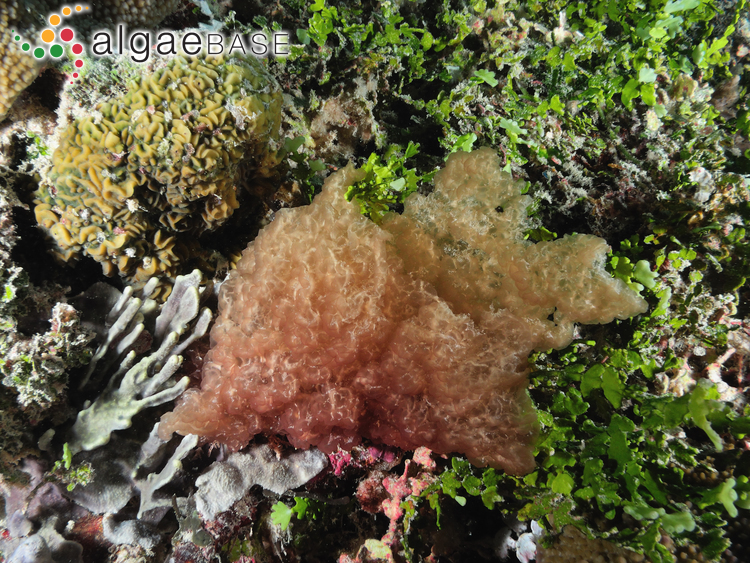 Liste des algues du Siboga, IV. Rhodophyceae. Troisème partie. Gigartinales et Rhodymeniales et tableau de la distribution des Chlorophycées, Phaeophycées et Rhodophycées de l'Archipel Malaisien. Siboga-Expeditie Monographie 59d. pp. 393-533, figs 143-213, pls XI-XVI. Leiden: E.J. Brill. Type locality: 'Stat. 81. Banc de Borneo, Sebangkatan...' [Pulau Sebangatan, Makassar Strait, Indonesia] (Huisman et al. 2016: 301). Lectotype (cystocarpic specimen 335): 14 June 1899 (fide Tydeman, 1902); 'coral bottom and Lithothamnion'; dredged from 34 m. L 0055978: 335 and a slide preparation (figs 2, 3) (Huisman et al. 2016: 301). Notes: Isolectotypes: specimen 334 and an unnumbered specimen. Huisman, J.M., Saunders, G.W., Le Gall, L. & Vergés, A. (2016). 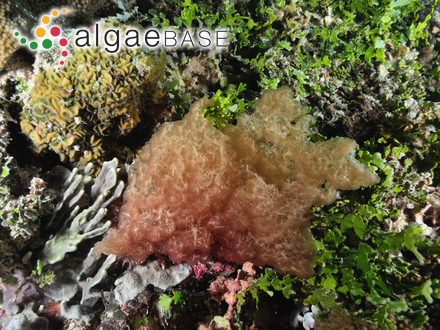 Rhytimenia, a new genus of red algae based on the rare Kallymenia maculata (Kallymeniaceae, Rhodophyta). Phycologia 55(3): 299-307.